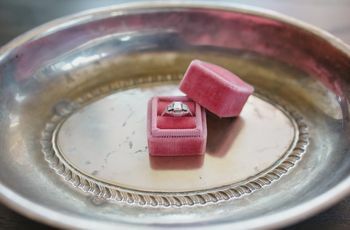 Engagement Rings 101 | Wedding Ideas ARE YOU A VENDOR? Don’t know the first thing about engagement rings? We’ve got the lowdown on the four c’s, settings, metals and more to get you started. Ready to put a ring on it? Well, you’re going to need an engagement ring to seal the deal. 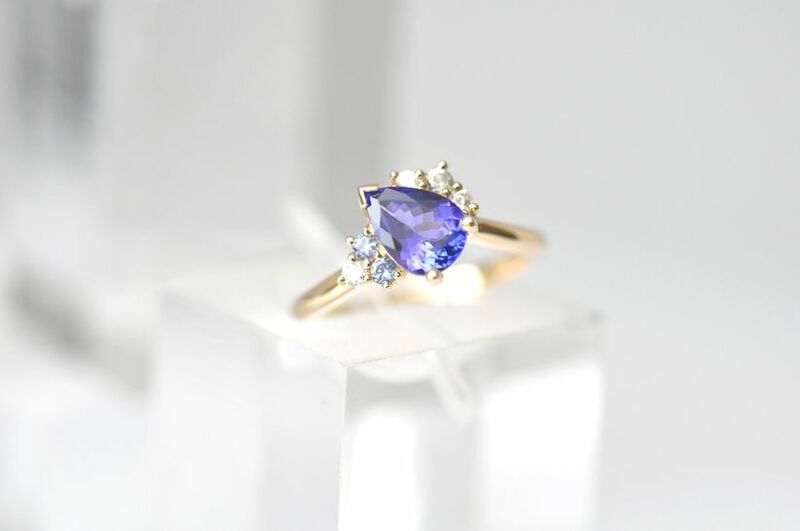 Whether you want to propose with a vintage sapphire piece or work with a designer to customize a brand new diamond ring, there’s a lot to wrap your head around. This process is more involved than simply knowing your partner’s ring size, so we’ve laid out the basics for you. 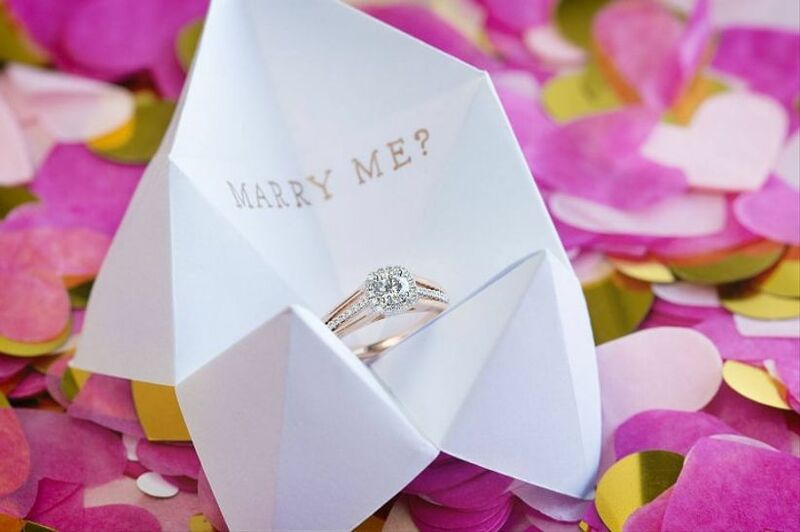 Here’s everything you’ll need to know before purchasing an engagement ring. Sourcing your diamond is an important part of the journey and buying local is the way to go. 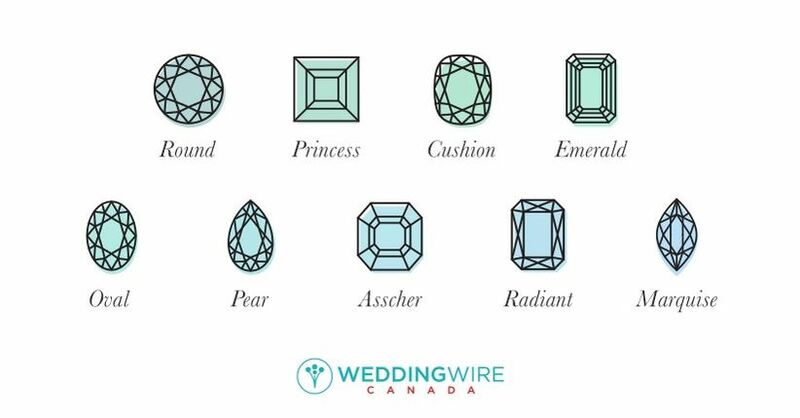 While Africa and Europe have their fair share of diamond mining operations, Canada’s got a pretty sweet stash of gemstones itself (it’s the third largest producer of diamonds in the world). These diamonds are conflict-free and their mining is held to high environmental standards, making them a win-win. Luckily, many jewellers, including our beloved Birks and Peoples, offer Canadian diamonds in-store. 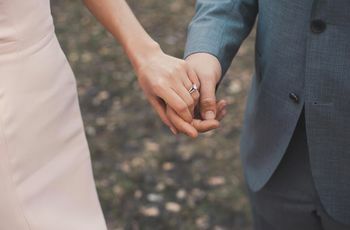 The most important elements of diamond engagement rings are the four Cs, and you’ve probably heard of them before: cut, clarity, colour and carat weight. 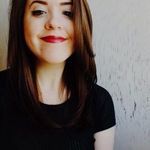 These are the pillars of ring shopping so you’ll want to be acquainted with them before you step foot in a jewellery store. Colour is pretty straightforward: the less colour a diamond has, the higher quality the stone is. If you want something on the pricier end of the spectrum, look for a stone that’s almost colourless. Last but not least is carat weight. This refers to the unit weight of the stone itself. It’s often confused with the size of the diamond, but don’t be fooled, a big rock can have a low carat weight, and vice versa. Again, more carats will leave you with a bigger bill to pay. Now that you’ve learned the basics of diamonds, let’s deal with mounting that stone onto a band. This sometimes involves adding more gems into the mix or altering your choice of cut, so come to your jeweller prepared. Channel: The band flaunts a row of smaller diamonds set between the edges of the band. Pave: The band features a row of small diamonds set close together, no metal is visible, so the band looks as though it is made of diamonds. Halo: A circle of diamonds surrounds one large centre stone, like a halo. Split shank: The band splits halfway around so as to look like two bands running parallel to each other. The bands often feature rows of diamonds. 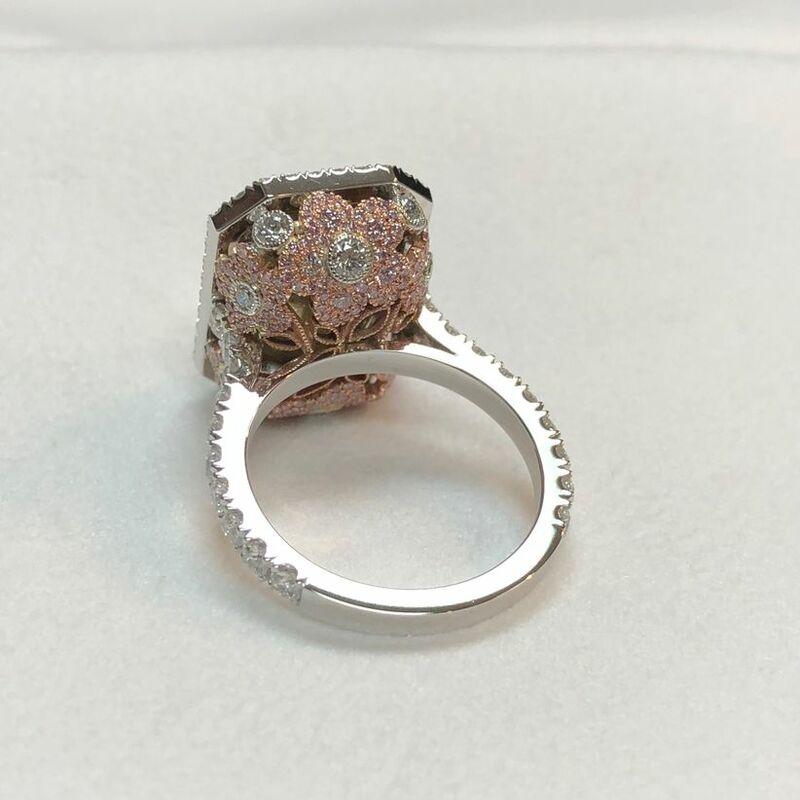 3-stone setting: The centre stone is nestled between two others. Prong: Metal claws hold the centre stone in place. Bezel: A band of metal wraps around the outer edge of the centre stone. Flush: The stone is completely set into the band. This has become a popular choice for men due to its subtlety. Criss Cross/Twisted: Multiple bands cross over each other, holding the diamond in place. Tension: The centre stone is held in place by pressure. No prongs needed. 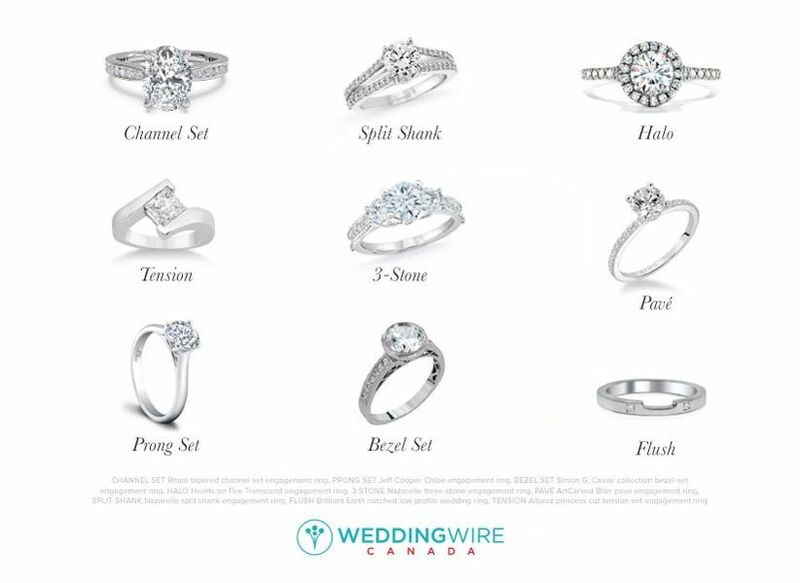 There’s a bevy of other settings to choose from, but these are far and away the most popular for engagement rings. Sapphire: Multiple colours, commonly deep blue, but also pink, purple, green, yellow, orange, black and colourless. Topaz: Multiple colours, commonly blue, yellow, brown or red. Platinum: A silver-white, extremely durable metal that’s the most expensive on the market. White gold: A silver-white metal that’s similar in looks to platinum but a touch less expensive. It’s normally plated with rhodium for the sake of durability and will probably need replating at some point. 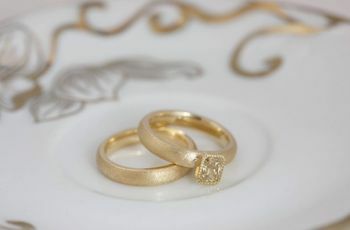 Yellow gold: Exactly as it sounds, the traditional shade of gold. 24-karat is usually too soft, so jewellers mix it with a host of other metals to increase its durability. This usually lands bands in the 18-or 14-karat range. 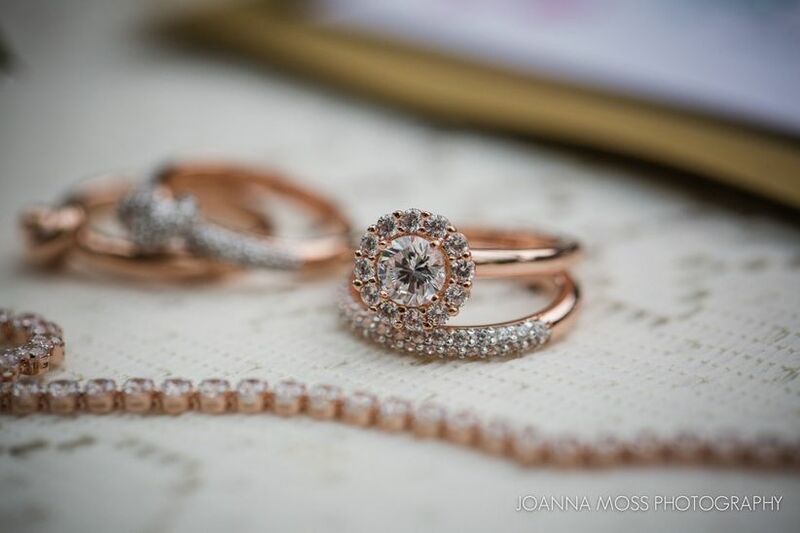 Rose gold: A fan favourite at the moment and involves mixing copper and gold together to make a pink-toned metal. The mixture of these metals makes it more durable than white or yellow gold. Palladium: The less-expensive sister to a pure platinum ring. It looks very similar but is slightly less durable than platinum (but more durable than white gold - no replating required!). Titanium: A favourite of men. It’s very lightweight and very strong, but it cannot be resized. Tungsten: Similar to titanium, tungsten cannot be resized. It comes in black, grey or white and is extremely strong and hard.